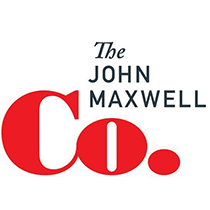 John Maxwell explains why planning is so important and gives a simple guide to planning ahead. In October 2010 the most expensive public works project in America, ARC, officially met its demise. The project would have constructed two tunnels beneath the Hudson River to add much-needed railways between New Jersey and Manhattan. However, poor planning led to wasteful spending and put the project on pace to exceed its budget by at least $1 billion. A federal audit of the project brought to light an embarrassing lack of planning. The audit charged NJ Transit with failing to draw up plans to combat fraud and waste in its financial practices. The same audit chastised the FTA for authorizing NJ Transit to spend $1.35 billion without having seen a project management plan, master schedule, or financial plan from the agency. On account of ARC's runaway costs and inadequate strategic plans, New Jersey Governor Chris Christie decided to cancel the project. In leadership, all is well that begins well. Leaders who carefully craft strategies enjoy success, while those who haphazardly race forward experience heartache. Strategy functions as a leader's blueprint, playbook, or script. It aligns action and focuses energy toward a goal, preventing costly delays and wasted resources. By following a coherent strategy, leaders arrive at a predetermined destination instead of wandering in an uncertain direction. Is Your Purpose Clearly Defined?